With the candidate experience at the forefront of more HR decision-makers' minds, talent managers and recruiters are looking for more innovative ways to improve each step of the application process, improve their talent funnel, and attract the highest caliber of talent to their ranks. For time-pressed recruiters and hiring managers, programmatic is going to be an essential element of getting things done in 2018 and beyond -- especially routine tasks like managing communication with candidates. While the thought of robots and AI-driven tech may bring out some of our most dystopian fears, there are several human benefits that can be precisely geared to improving the candidate experience. According to economist, Dr. Erik Brynjolfsson, automation is more likely to create jobs rather than eliminate them in the near future. For recruiters, the purpose of automation is not to replace the human element, but rather to enhance the recruiting experience on both sides of the equation. This means that while recruiters will save time and work more efficiently by automating specific tasks, candidates will also benefit from an overall less stressful experience. However, even with the ease that automation can provide recruiters, it's important to stay aware of what's going on and to monitor the processes carefully. From a candidate perspective, one of the most important metrics is how long the hiring process takes from the time of the first application to the time an offer is extended. Make sure that you're maintaining contact with candidates throughout the process. Even if you can't hire them for the position, there may be a future one that fits. You'll want your reputation intact should you reach out to them again. Now that we've covered some of the benefits of automation, let's talk about application. Here are four automated tasks you can add to your sourcing strategies today to improve your candidate experience and free up time to focus on more data-driven recruitment. One of the first tasks recruiters should optimize are pre-screening questions. While many companies are getting better at sending out an automated email that acknowledges receipt of a resume, are they really getting the most value? Add another layer of ROI into this process by including a pre-screening questionnaire right in the message. This can be done very simply using a platform like Google Forms or Survey Monkey and can include basic yes/no questions about job history and qualifications as well as capturing short-form or extended response answers as needed. According to Glassdoor.com, one of the biggest pre-screening automation trends of the coming year will also include text message screening. Speaking of devices, one of the biggest trends in automated recruiting is fully embracing mobile devices as part of the process. More recruitment software providers are building integrated apps with enhanced features that go along with the desktop version. These features can include the aforementioned text screening, scheduling, and video interviews for increased convenience. A recent article on Monster.com delves into mobile recruiting and gives specific applications for recruiters in various industries. In addition to its many time-saving potentials, automation can serve recruiters by allowing them to rediscover latent talent by searching a database of people who have applied for past jobs. Many applicants are used to receiving electronic rejection messages that claim that they will "keep your resume on file" for future matches. The only problem? The hiring company is rarely heard from again. AI-driven candidate retargeting is saving recruiters time and money by allowing them to re-engage previously rejected talent for roles better suited to their skills. According to a SHRM article about AI rediscovery, it has the potential to save recruiters weeks of work by getting rid of the onerous task of starting a new candidate search for every role and reading hundreds of resumes. However, recruiters who are considering using AI retargeting for dormant candidates should exercise some caution. "There can be a danger in trusting the algorithm too much," said one hiring manager." But the results have been consistently good for us in reducing time-to-hire and improving quality of hire, whether it's for technical roles or jobs like product manager [or] salesperson." 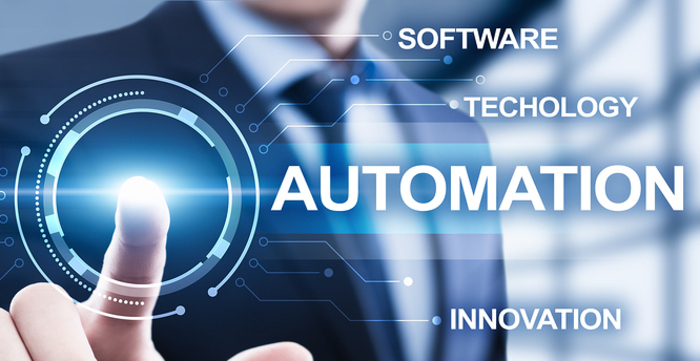 Recruiters who are open to implementing automation can save untold manhours and resources that would previously be dedicated to routine, day-to-day tasks, instead, leaving time and budget to focus on strategy and optimization. By starting with the steps outlined above, you can start to see ROI from your efforts and drive the performance of your recruiting team.